Description: From the pedigree Boston collection. "Great Gobs of Goo! 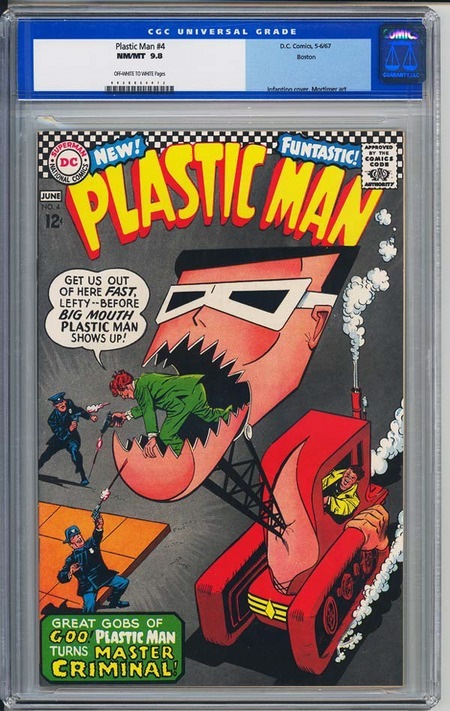 Plastic Man turns Master Criminal!" Stellar copy of this early 4th issue has very sharp, rich color strike, great gloss and exceptional eye appeal. A stunner in every way possible and the Top certified copy graded by CGC. Wow!